Group Discussion Ideas > Education GD Topics > Right to Education: Success or Failure? This act provides compulsory elementary education to every child of the age group of 6 to 14 years. Although the government had good intentions in mind, this Act has a few drawbacks along with the benefits. The RTE Act is primarily for providing education to the under-privileged children, and as it requires no schooling cost, parents are sending their kids to schools without any burden. Today, approximately 35 million to 60 million children are not in schools. As the Act promises education to be provided to every child, there is a possibility of a massive increase on the literacy rate of India. Along with education, employment of teachers and staffs also seem to increase. 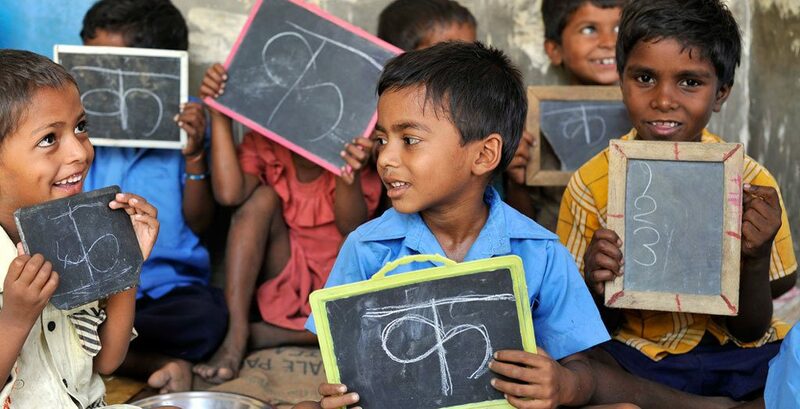 India has almost 19% of the world’s children and is ranked as third in the count of illiteracy. The RTE Act is an exercise to increase this rank and move towards an educated India, starting with educating the youth. The RTE has mentioned a minimum requirement of 2000 square meters plot size of schools. This criterion for establishing schools is not suitable for the rural and slum areas. This is further uprooting existing small scale schools. As the Act states compulsory education from the age of 6, preliminary schools take advantages. They are leaving no scopes to ask for lump-sum donations for pre-schooling of children. The law holders overlooked and ignored importance and necessity of pre-schooling. The RTE prioritize the rule of imposing education on children and on the infrastructure of schools rather than on the quality of education that the student are to receive. The appointment of teachers in schools are lenient and not quite up to the mark. The trend of “inspection” of schools in the current times has also paved way for corruption and extortion. The non government/private schools are pressurized with the replacement of 25% of their seats with non-aided students for the RTE implementation. The government asked a total of 204 private schools, including those offering CBSE and ICSE syllabi, in the district to reserve seats. This in turn results in degradation of those 75% students getting burdened with extra fees of the non-aided students. The quality of the education is cut down when fee structure cannot be increased. The UNICEF and the State Commission for Protection of Child Rights has recently conducted a survey. They state that there is no much of improvement in admission of students as well as in education since the time the act has been implemented. Although the government had good and beneficial motives with the Act, the implementation did not turn out to be so. There are loopholes and flaws in the Act. These flaws need to be rectified to achieve the aims and motives of the Act. According to me in a democratic country everybody has right to take education and right to education is the success. Especially in remote area all the parents have desire to send their children to go to school . They don’t have any burden they don’t need to pay , without cost children can take their education . Nowadays in remote area most of the children they are going to school and they are getting aid from the government. So literacy is high. But if education department take initiative for primary level to standardise and English is the compulsory subject then it will be better for children because remote area parents don’t have money as well as communication facility to send them to English medium school like city area I e if government takes care then children will not suffer then their future life they can compete with the other children. All the GD Topic on this website is very goooood. Thank you Admin to help all the society.